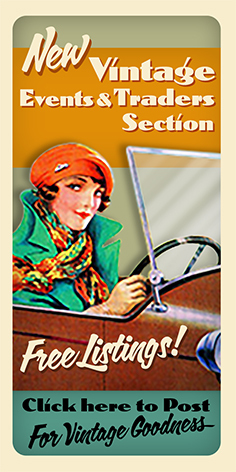 On-line shop and five cabinets of original vintage costume jewellery, bags, evening bags and compacts. Shop based in Oxford, UK. Please e-mail with your 'wants'. Some 1930s and 1940s items and other eras too.